We’re proud of the IT solutions we produce in collaboration with clients that keep coming back to Arepo as their on-line business needs evolve. IT services are provided as bespoke software development or by clients using our range of hosted software products. 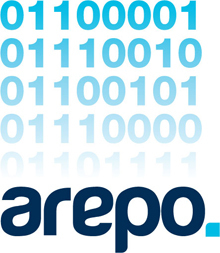 Arepo's approach is underpinned by our Rapid Application Development tool, the Arepo Platform, providing customers with truly cost-effective, flexible and reliable web-based database solutions. Our clients range from individuals and start-ups to blue-chip multi-national companies. Whatever your business is, get in touch to find out how Arepo can help. See some of the clients we work with below. Arepo Solutions are specialists in providing online software solutions for the transport industry.